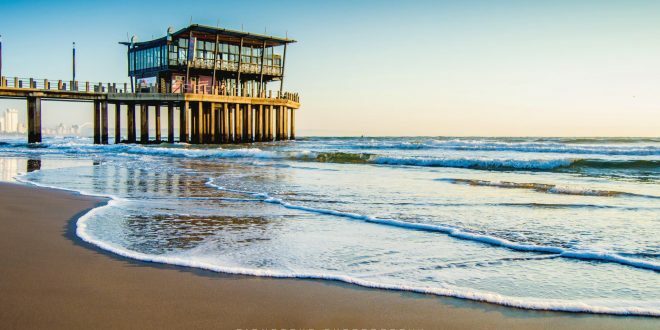 SA Airlines flies to Durban on a regular basis from all over South Africa, making this bustling fun-filled city easily accessible for weekend travel. Here’s how to get the best out of your cheap flights to Durban by making the most of your time in this welcoming city, starting from the morning of the first day. Durban is sometimes viewed as one of Cape Town’s poor relatives, but it’s got one up on the Mother City come daybreak. There’s no better way to start your day than by watching the sunrise resplendent over the Indian Ocean waves. Join the cyclists and fellow walkers for a stroll along the recently revamped Promenade which stretches from uShaka to Blue Lagoon to watch the spectacle unfold. It’s not known as the Golden mile for nothing. Afterwards, you can continue the enjoyment over a cup of coffee and a fry-up or health breakfast at one of the many beachfront restaurants found along this strip. 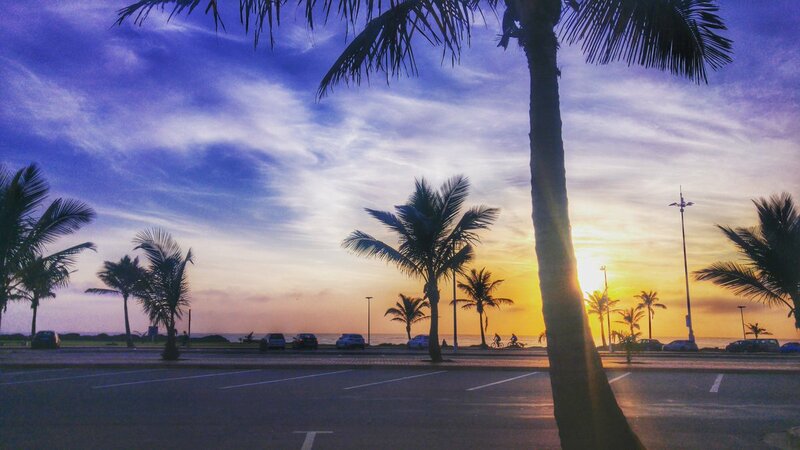 For your morning’s entertainment there’s no better place than one of Durban’s golden beaches. You’ll find the warm waters of the Indian ocean most welcoming year-round. Surfing, swimming and sunbathing on these balmy shores are just the way to start your break in ‘the 031’. Make sure you get your hands on a hunk of pineapple dipped in curry powder for a refreshing mid-morning treat or grab a cone of soft serve adorned in sprinkle nuts. These are classic Durban seaside treats which are available from vendors along the beachfront and not to be missed. Before you leave for your afternoon outing, grab a bite from one of the takeaways at the beach or sit down for a burger and beer at Surf Riders Café on South Beach. For an afternoon’s entertainment that extends into the night, head for the SunCoast Casino complex on North Beach. Here you’ll find a host of entertaining shows, slot machines and tables to keep you busy until late afternoon. There are a wide range of places to enjoy an evening meal in this complex. You can try some fresh seafood at Havana Grill, enjoy a full-on buffet at Billy G or test your palate with a fiery Durban curry at Jeera. Whether it’s pubs or clubs you prefer, you’ll find something to suit your idea of evening fun along Florida Road, where all the trendiest Durbanites hang out. There’s Absolute Nightclub for a swish party scene, Drop Kick Murphy’s for good clean Irish fun or a thumping Latino vibe atCubana. Providing you didn’t over-indulge in Durban’s welcoming hospitality the night before, you’ll want to get an early start for a day of markets and shopping in your cosmopolitan ‘hood. Skip the malls and go straight to the Morning Trade on Station street to stock up on artisan goods and organic produce. The Victoria Street market, close to the ICC has over 150 stalls selling everything that’s unique to Durban. From Zulu bead- and basketwork to fresh oriental spices, and colourful fabrics, you’ll find it all at this longstanding venue. No trip to Durban is complete without spending some time at uShaka Marine World. Here you’ll find water slides and rides for all ages, dolphin shows, snorkelling, interactive animal activities and more. 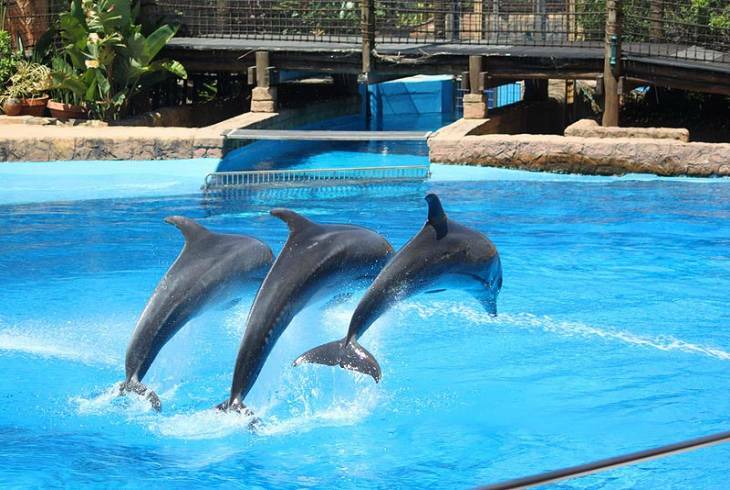 The SeaWorld Aquarium is a must see. This watery wonderland is the world’s 5th largest aquarium and the biggest in the Southern Hemisphere. The spectacular marine displays lead you on a path of discovery covering 500m and arranged inside four life-size replicated shipwrecks. It’s a delight for young and old. You won’t have to stray far from here to enjoy a top-notch dinner either. The aptly named Cargo Hold restaurant is right to hand, serving up gourmet seafood and steaks, nestled in the bowels of the Phantom Ship. Moyo sprawls on the edge of the ocean, offering Moroccan and local dishes. 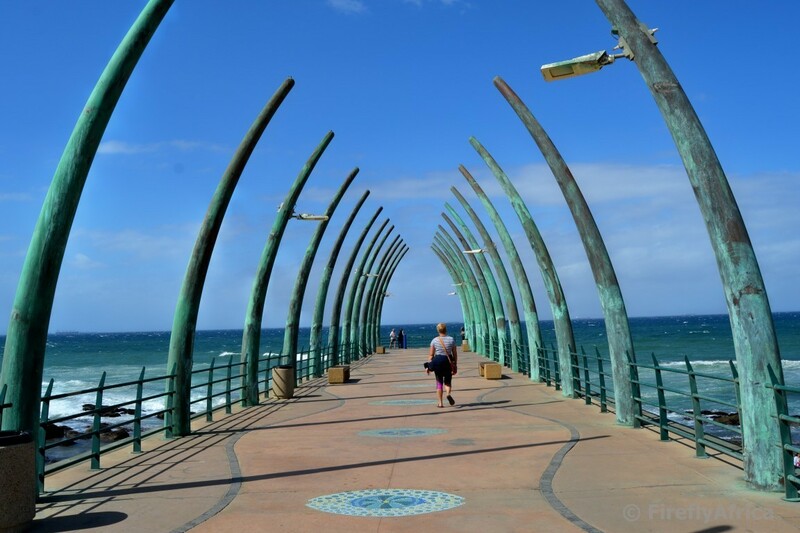 For a last bit of indulgence before heading home in the morning, take a trip out to Umhlanga Rocks, about 15 minutes’ drive away, to see the famous Whalebone Pier lit up against the shoreline. This upmarket suburb of Durban is the playground of the rich and famous with swish nightclubs and exclusive cocktail bars to add a touch of finesse to your last night on the town. There are so many more activities, museums, attractions and things to get up to in KwaZulu-Natal’s favourite city. Fortunately, you can compare prices online to get cheap flights to Durban anytime and catch up on all the things you missed the first time around. This entry was posted in Airlines, Best Places in South Africa, Durban Flights and tagged Cheap flights to Durban, SA-Airlines. Bookmark the permalink.